That’s right, the mighty all-powerful newly updated iMac lineup is faster and stronger than ever before. 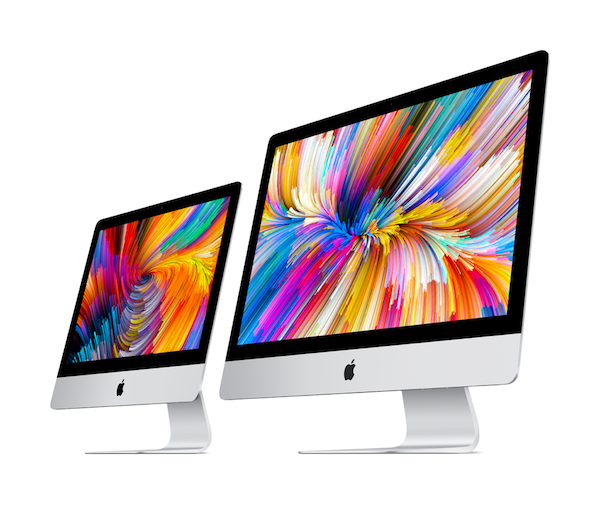 The 21.5-inch iMac comes equipped with 8th-generation quad-core and 6-core processors, delivering up to 60% faster performance, while the 27-inch iMac has a brand new 9th-generation 6-core and 8-core processors, delivering up to 2.4 times faster performance. All this increase in speed will make your workflow much more efficient whether you are working on a film, music, graphic design or any other creative endeavor. For the first time, Radeon Pro Vega Graphics is coming to the iMac. The Radeon Pro Vega Graphics will deliver up to 80% faster graphics performance for the 21.5-inch and up to 50% for the 27-inch. This graphics increase combined with the overall speed increase will make graphics professionals lives feel like they are working at warp speed. In addition to the spec bumps to the standard iMac models, Apple also added 256GB RAM and Radeon Pro Vega 64X graphics options to the iMac Pro. Nothing compares to the new iMac when it comes to the retina display. With up to 14.7 million pixels, 1 billion colors, 500 nits of brightness, P3 wide color gamut, and an incredible viewing angle, the new iMac’s Retina Display is a new industry best. The 21.5-inch iMac will be priced starting at $1,299. The 27-inch iMac will be priced starting at $1,799. You can place an order for the new iMac with Springboard today! 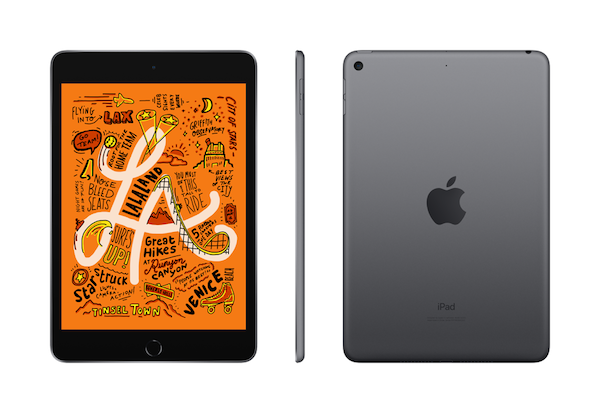 The highly anticipated new 10.5-inch iPad Air and 7.9-inch iPad Mini were jointly announced, both with exciting new features. Both iPad’s will work with Apple Pencil, which is a must-have tool for students and creative professionals. Each iPad will also be equipped with the A12 Bionic Chip that will power the next generation of apps, most notably being Augmented Reality (AR). In addition to the spec boost for the iPad Air, it’s also now compatible with the Apple Smart Keyboard. And even though the iPad Mini doesn’t yet support the Smart Keyboard it does support the first-generation Apple Pencil! Wifi connection is stronger than ever for the fifth-generation iPad Mini and 10.5-inch iPad Air. 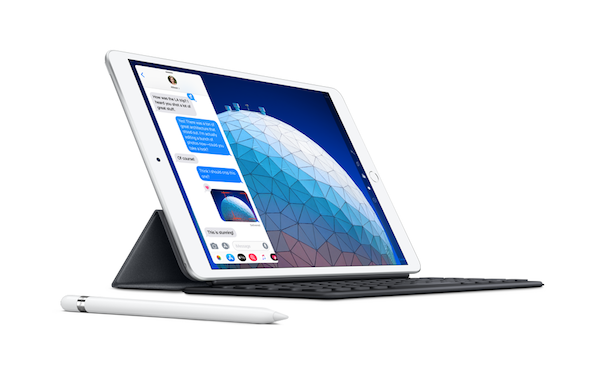 Both iPad's also features the same great Wi-Fi performance and Gigabit-class LTE connectivity that is built into the most advanced iPad Pro’s. Users can easily connect to Wifi in more than 180 countries around the world, making these iPad’s easily portable and easily usable. Both the iPad Air and iPad Mini have advanced cameras to take stunning photos and capture clear 1090p HD videos. The upgraded camera also works great for document scanning for the ability to connect with friends and family via Group FaceTime calls. The new cameras combined with advanced sensors also help enable immersive AR experiences. The new iPad Mini will be priced starting at $399 for the Wifi model and $529 for the Wifi + Cellular model. The new iPad Air will be priced starting at $499 for the Wifi model and $629 for the Wifi + Cellular model. You can order the iPad Air and iPad Mini with Springboard today! The new AirPods feature voice-activated Siri and a new wireless charging case! Convenient to use with your iPhone, Apple Watch, iPad or Mac. The beloved AirPods are back with even more exciting features than before. For one, the new AirPods now feature the convenience of “Hey Siri” making it even easier to change songs or make phone calls. Speaking of phone calls, the new AirPods come equipped with a newly designed H1 Chip that allows up to 50% more talk time compared to the first generation of AirPods. Also, switching between devices while listening to music is more seamless than ever with two times faster connect times. As if wireless headphones were not enough, the new AirPods also allow for wireless charging with their brand new Wireless Charging Case. Each case can hold additional charges for more than 24 hours of listening time. The Wireless Charging Case is designed to offer the freedom of wireless charging with Qi-compatible charging solutions (although we’re still waiting to hear about the wireless charging mat from Apple, the long-awaited AirPower). An LED light indicator located on the front of the case conveniently shows the charge status with just a glance. Existing AirPods customers can purchase the standalone Wireless Charging Case. On the go headphones, equipped with on the go charging for the on the go listener! The new AirPods with the Wireless Charging Case are priced at $199. The Wireless Charging Case by itself is priced at $79. The new AirPods are available for order now, with shipping dates in April. Are you excited yet? New hardware, new updates and (possibly) a new streaming service from Apple?! The possibilities are endless. Click here to listen to AppleInsider experts talk about what to expect on Monday’s Apple event. The “It’s Showtime Event” is happening March 25th at 1:00 PM Eastern Time at the Steve Jobs Theater on Apple Park campus. The event will be live-streamed on Apple’s website or through the Events App on Apple TV if you wish to view. But no worries if you can’t because we will be providing an update as soon as the event wraps!